Saving, it has been an integral part of gaming ever since it was first used. 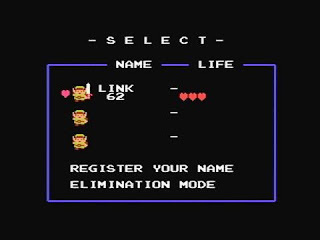 Rudimentary incarnations of it came in the form of passwords, where one would enter a series of characters to enter a specific point in the game. Saving itself has become much easier over generations. It began with a bit of memory being open on a cartridge, exclusive to saving. As disc games came into play, the memory card was introduced, where one had to plug a memory card into the console to be able to save game data, and they were quite limited in space most times. After the memory card era came flash memory and solid state drives, fulfilling the same purpose but built into the system, and allowed what would be a plethora of data to be saved relative to the memory card. Developers usually stick to one of the three, or some permutation, and in some cases, use methods one and three in tandem with one another, no matter how redundant it may seem to the player for the purpose of keeping saving a feature that won’t ruin the game. Contrary to their beliefs, the methods sometimes chosen for saving can be completely cumbersome and outright annoying in some cases. One instance in which it will occur in many games is where the saving in a specific area and/or under specific conditions can lead to a glitch rendering the save file unplayable from that point on. Two famous cases of that on Nintendo’s end of the spectrum was Metroid Prime 2: Echoes and The Legend of Zelda: Twilight Princess. In that case, although the blame can go to the developer, it was an honest mistake and can’t really be held against them. In “Free, but limited saving,” one drawback of this is that where one can save is at the discretion of the developer, and sometimes finds the most arbitrary points within the game to not allow saving. A culprit of this is the Mega Man Battle Network, where, near the end, the player is not to save, or sometimes before specific boss areas where the player is still not able to save. But there are cases where the developers chose well in having saving set up. Two instances of this are Super Metroid and Cave Story. Both games have mandated save points in which one is allowed to save, but there aren’t too many to take away from the challenge, but they aren’t so few and far apart where the game becomes difficult to trek through. I miss the memory cards, I have no way to bring my saves over to my friends PS3 to play the games at his place as of now. As far as I know you can copy saves onto a USB Memory stick and use them with that. I know this is definitely true of Xbox 360 but I think it applies to PS3 too. Xbox 360 also has online storage for your saves so you can use your saves on another console (provided it's connected to the net) which is cool.